(2) modeling, simulation, analysis and interpretation of these measurements to generate useful information products; and (3) rapid dissemination of these products to the user communities. The user communities typically comprise government, industry, regulatory authorities, research institutions and the general public. In data assimilation centers, numerical forecasting models process the data and generate information products. The utility of these simulated products is further enhanced (value engineered) by subject matter experts in such disciplines as marine transportation, marine construction, public health and seawater quality. Different applications require different products. This implies that an array of information products must be tailored to satisfy the needs of specific user communities, who have been identified in advance through socio-economic or cost-benefit analyses. Civil applications of operational oceanography in coastal regions are the most visible and include warnings against such hazards as coastal floods, waves, coastal erosion and effluent contamination. 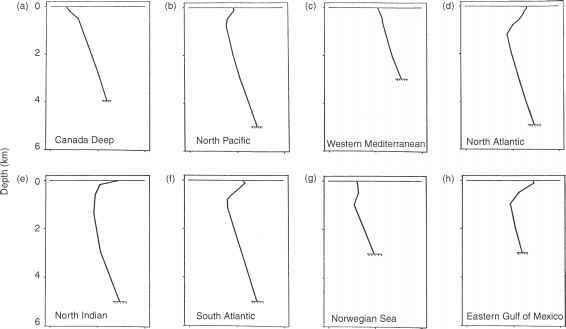 Commercial applications in the open ocean include guidance on optimal ship routing. Defense applications of operational oceanography, as defined by the US Department of the Navy (2000b), include the development of oceanic and atmospheric observations and models to provide on-scene commanders with predictive capabilities, especially in the littoral zone. The US Navy's Geophysics Fleet Mission Program Library (GFMPL) contains meteorological, oceano-graphic, electromagnetic and acoustic software for use as aids in planning naval operations in the open ocean as well as in the littoral zone. Clancy (1999) and Clancy and Johnson (1997) provided useful overviews of naval operational ocean modeling products and applications.